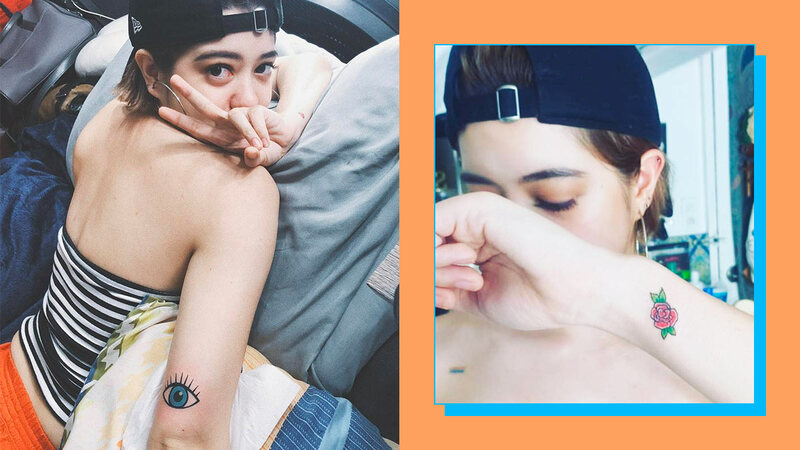 While everybody was busy getting drunk and filling up their tummies with the best festive dishes, Sue Ramirez did something ~special~. She got not one but two new tattoos to welcome 2019! Sue got a red rose on her left wrist and a blue eye on her right elbow. She has not shared the true meaning behind her new tatts, but according to the comments, the singular cobalt iris is an "evil eye," which protects the bearer from negative energy. But if you ~really~ read up on ancient history, the blue eye is actually a charm people wore to protect themselves from the misfortunes brought by the "evil eye." Whatever you may call it, this mystical symbol will ward off BVs. Nice! The artist responsible for her new ink is Jeffrey Serrano. Based on our Insta-stalking, he's an expert in creating the most lifelike colorful portraits as well as 3D illustrations. You can book him via his mobile number, 0921-7536386. Are you still contemplating if you should get a tattoo? Let's talk about it on our private Cosmo Beauty Group for an exclusive CG beauty chat.